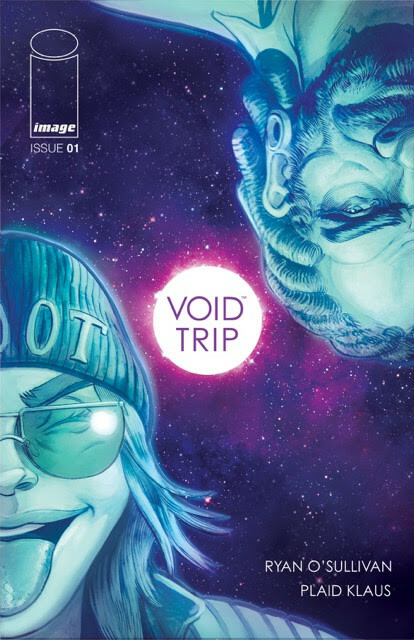 Writer Ryan O’Sullivan (Turncoat, The Evil Within) and artist Plaid Klaus (Turncoat) will bring new readers on a road trip like no other, with their all-new sci-fi/comedy series Void Trip. Image Comics will bring this new psychedelic space trip comic series in November. CHECK OUT THE 6-PAGE PREVIEW BELOW! Ana and Gabe are the last two humans left alive in the galaxy. They’re low on fuel, they’re low on food, and they’re low on psychedelic space froot, but they’re high on hope and determined to make it to their promised land: the super-planet Euphoria, a true hippy paradise. This is a road trip like no other. Come along for the ride and meet the friends and enemies they make along the way, and see how the universe responds to those who dare to live freely within it. Void Trip #1 begins in comic shops Wednesday, November 22nd.